For years I have struggled to find the right facial moisturizer. You know, the kind that would do it’s job but not look greasy. Most of the time I just chose not to moisturize under my make up because it just wasn’t worth having my make up start sliding off by late morning. Well, I have to tell you, my search is finally over! I have found my dream lotion. The people at Mark (division of Avon) have the answer! The Mark Matte Chance Mattifying Lotion not only moisturizes like a dream….but it’s matte too! That means no shine and no greasy looking skin!! My skin feels smooth and soft, my makeup looks flawless, without making my skin dry or tight. I love the little jar it come in too! Just press down on the top and it dispenses the perfect amount of lotion. **this is not a sponsored post……..I just wanted to share how much a really really love this stuff!! So let’s hear it……do you have a facial lotion or beauty product that you just love?! Share it in the comments! Thanks for the tip on the lotion. I have oily skin and always skip the moisturizing step because it always feels too heavy! I currently use Arbonne, but am always looking for “the next best thing”. 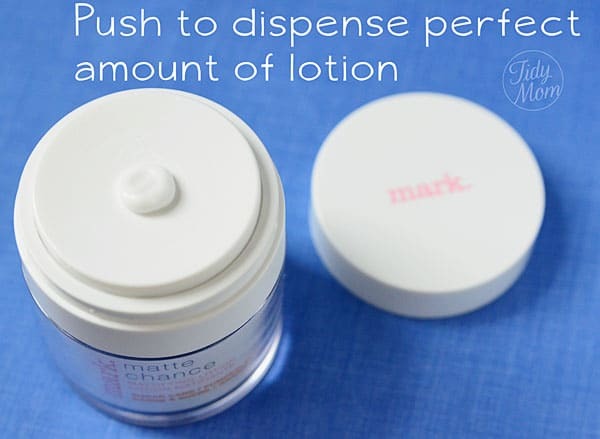 The Mark lotion sounds great – may have to give it a try! The face cream…thanks for that suggestion! Love hearing about what folks love! I’ll have to try that! I use an over-priced calendula creme from the medspa I go to. I LOVE it because it’s really soothing and not oily, but have been looking for something new. It can also be purchased thru your avon rep.
Good to know! My sister sells Avon/Mark and I haven’t tried this one yet. I’ll have to ask her about it. I am so sick of lotion making my face greasy. I love that lotion too! I was a devoted user until we moved to Florida & I needed sunscreen all the time. I wish they made a mattifying sunscreen lotion! I just noticed it’s your 100th Party! Congratulations! It’s funny, I was just getting ready to post on Facebook asking for a new face lotion. Perfect timing! Also, I’ve linked up my St. Patrick’s Day cupcakes, turned green using spinach instead of food dye. No oil, egg, or butter either! 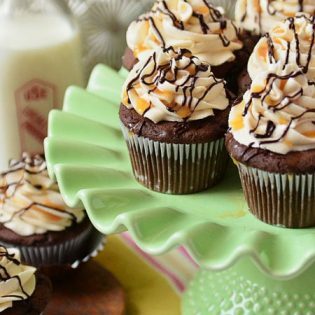 A healthy, fun treat that my preschooler loves. I just bought some overpriced stuff from a local plastic surgeon, hehe!! When that runs out I’m giving Mark a try! Too soon to tell if my new stuff works as I’m only on day 3! Thanks for hosting! Have a great weekend. This lotion sounds like an awesome product I’d like to try! I haven’t heard of Mark before – thanks! That lotion sounds perfect for my oily skin! Any idea how long the little jar lasts? I’m going to have to try that one, I hate a shiny face! Does it have SPF in it? I just love Mary Kay’s Timewise moisturizer. They have a formula for normal to dry skin and one for combination/oily. It’s an age fighting moisturizer with spf 30 and its not greasy either. I’ve been using Mark’s spray toner ever since I saw it featured as “one of the best” in a woman’s magazine severa years ago. I love that it is mostly natural ingredients and is low cost! I have not heard of Mark …. I’m going to give it a try. Thank you for hosting such a nice party! 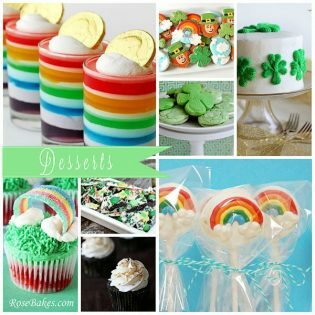 I linked my Leprechaun Hat Cupcakes. I use Clinique products during the day (moisturizer and make up) but my best kept little secret to night time moisturizing? Good ole’ Vaseline Petroleum Jelly! I have very oily skin, large pores and Rosacea and I have used a LOT of different products over the years. Vaseline is the only one I have found that helps with all three and gives my skin a beautiful glow. It takes time to learn just the right amount to put on so that you don’t feel slimy and grease up your pillows – I found that a little bit goes a long way and I don’t even notice it’s on my face. In just ONE NIGHT there was a noticable difference in my skin! The best part?? A jar costs around three bucks and lasts all year!! I use the newer one they have now with the bronze lid, LOVE IT!